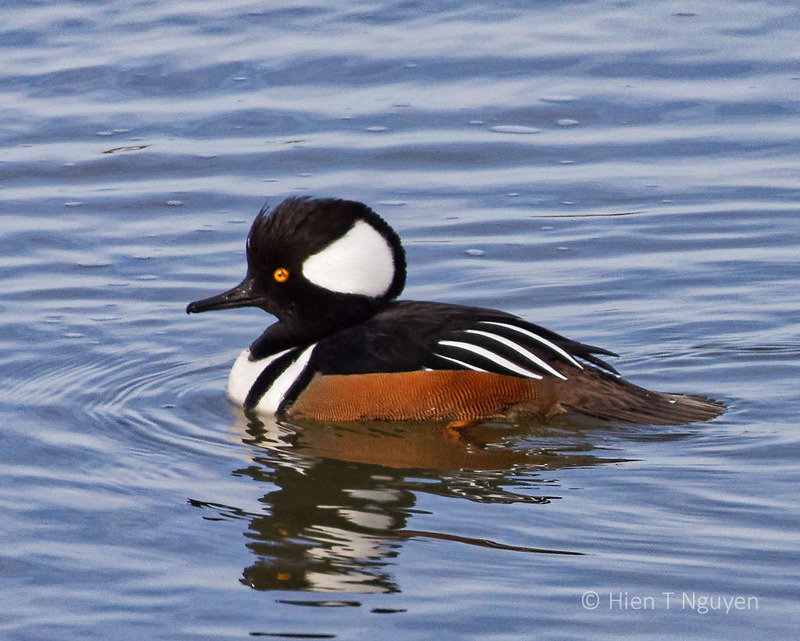 I’m familiar with Hooded mergansers, which are beautiful enough, but you took it to another level here. The nictating membrane is very cool to see, and I love that wet head! Fantastic. Thank you Lynn! 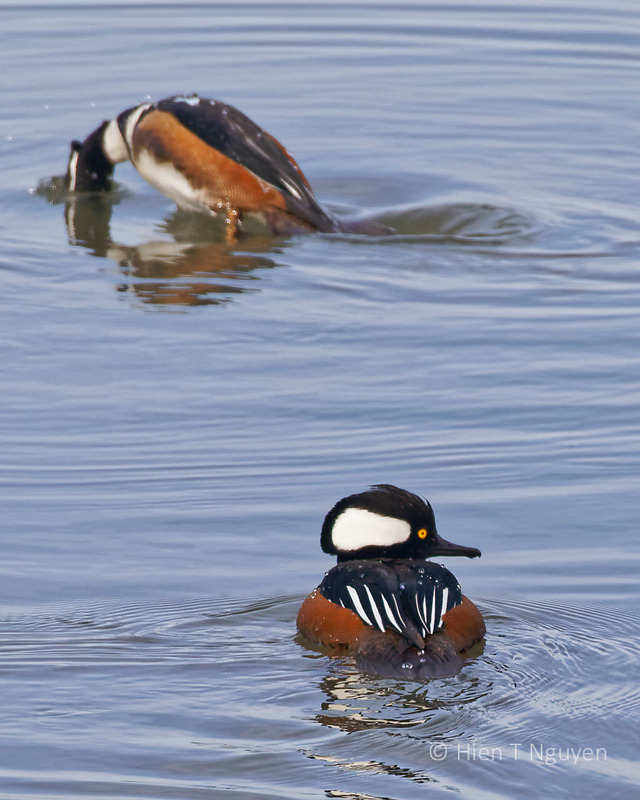 These ducks are one of the winter highlights. Beautiful ducks and you got some fine photos of them! Thank you John! I do like taking photos of these ducks. Superb captures of one of our more beautiful waterfowl species. 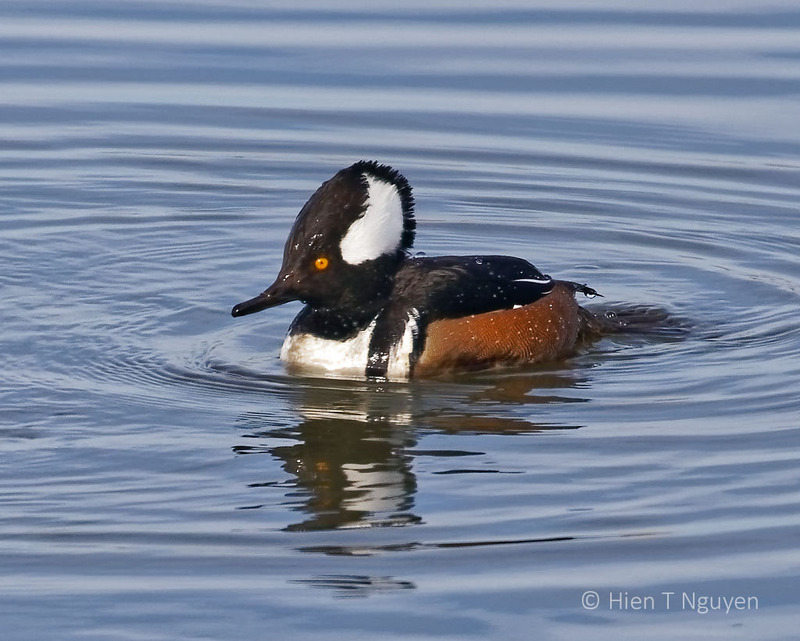 Great photos, do most diving birds have this extra eye-lid? Thank you Emma! Nictitating eyelids are common among many birds and animals. Humans may be on the few species that don’t have them. These are such precious little ducks. Great captures. Very cool ducks nicely captured. You’re welcome Hien. Hope your weekend is going well and it is not too cold to get out and photograph. They are so different than the ducks around here. The markings are so sharp and distinctive. You are right about that. The male ones are very easy to spot from even far away. Quite the show-offs, aren’t they!? Were they too far away from you? In ebrid.org someone reported weeing two of them today at Blackwater. There are always some birds at the refuge, any time of the year. You would enjoy it! I am sure I would! 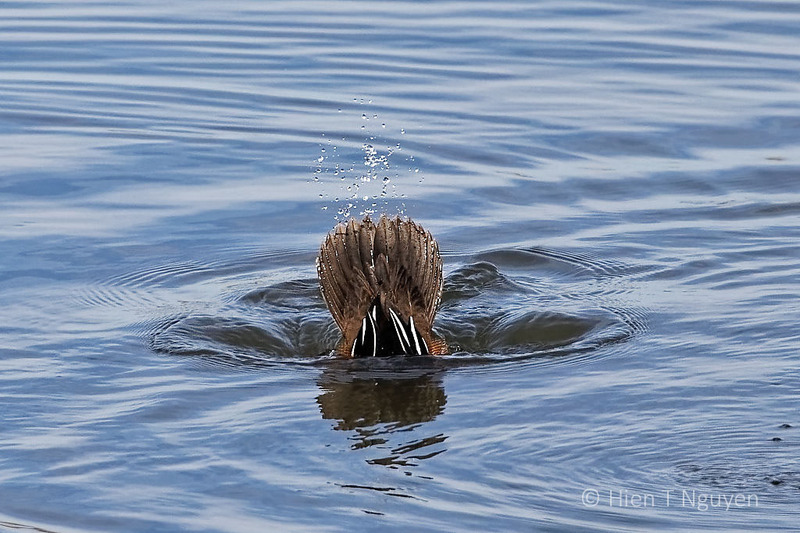 Exceptional shots, Hien! 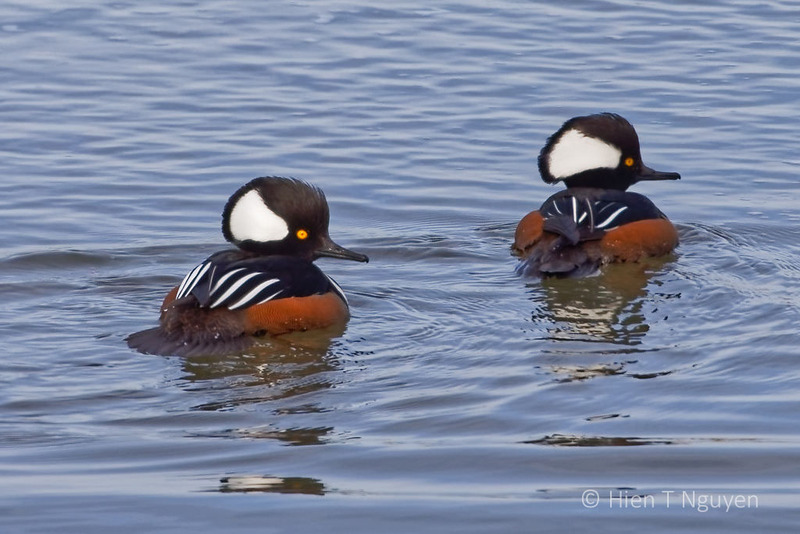 We don’t have these ducks here so it was quite a treat for me to come here to see these wonderful Hooded Mergansers. Thank you so much! Thank you Amy! 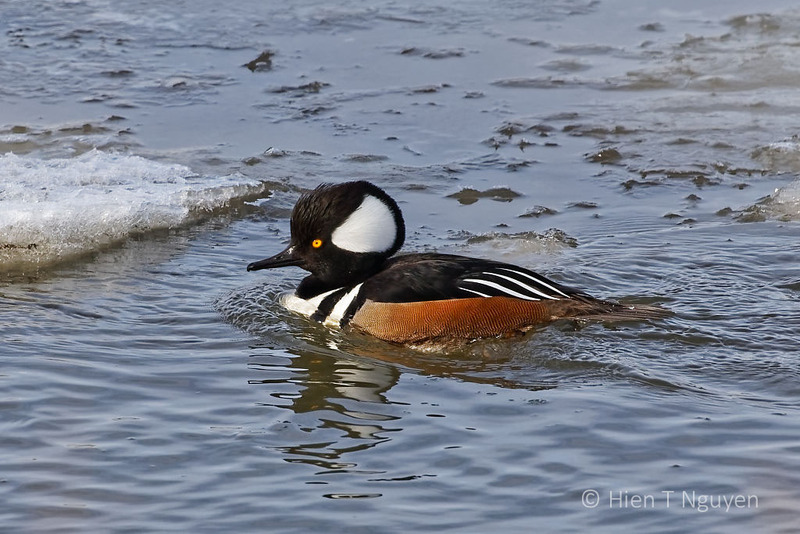 According to allaboutbirds.org Hooded Mergansers live year round in New York state and even in Ontario and Quebec. Well I will be certain to be on the lookout for this duck. I’ve yet to see one here locally. Thank you for the information, Hien. Are their bills really narrow or is that the angle of the shot? They are beautiful. Their bills are indeed narrow.